CHIOS. Chios is one of the eastern Aegean islands and it is located about six kilometres from the Turkish coast. It is the fifth largest island of Greece, the total coastline length is slightly more than two hundred kilometres and it covers an area of 840 square kilometres. Chios lies between the Greek islands of Lesbos (in the north) and Samos (in the south). 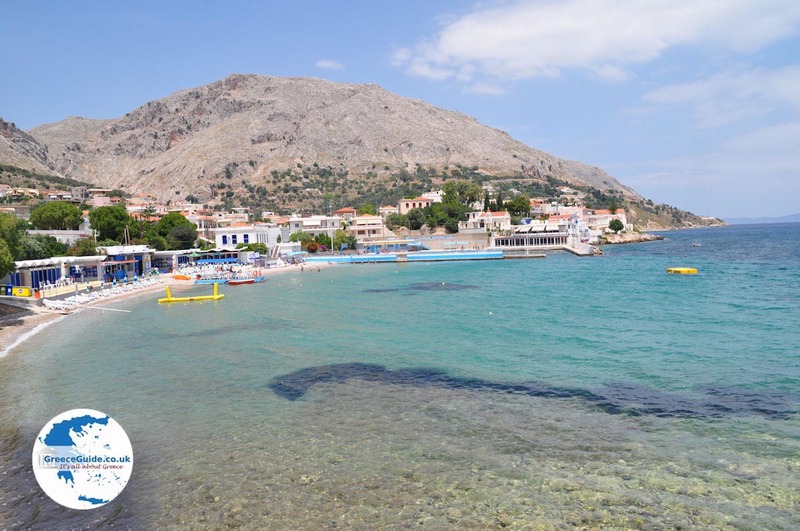 The smaller nearby islands of Psara, Antipsara and Oinousses also administratively belong to the prefecture of Chios. 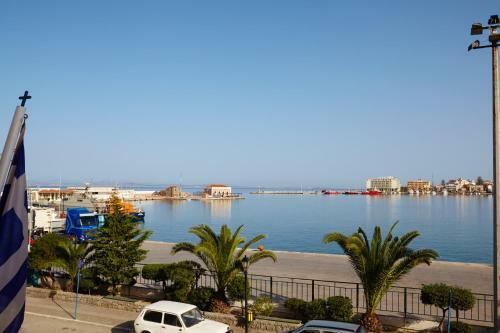 Capital of the island is Chios town, a lively and historic town. 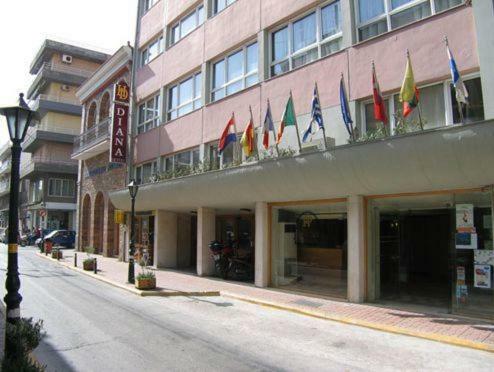 The port city has always played an important role in the prosperity and welfare of the island. Many residents of Chios were seafarers and through trade, Chios was very important in the contemporary economy. Chios is a diverse island. The north is mainly rocky and mountainous, the south is flatter and more fertile. In the south, the homeland of world-famous mastic trees which produce a precious resin type. It is a natural product, it only appears on Chios and nowhere else in the world! Unfortunately, the great fire of 2012 burned many acres of these trees. 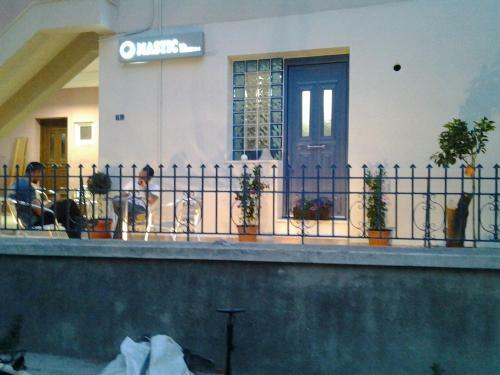 In certain areas of Chios it will take at least ten years before mastic will be produced again. 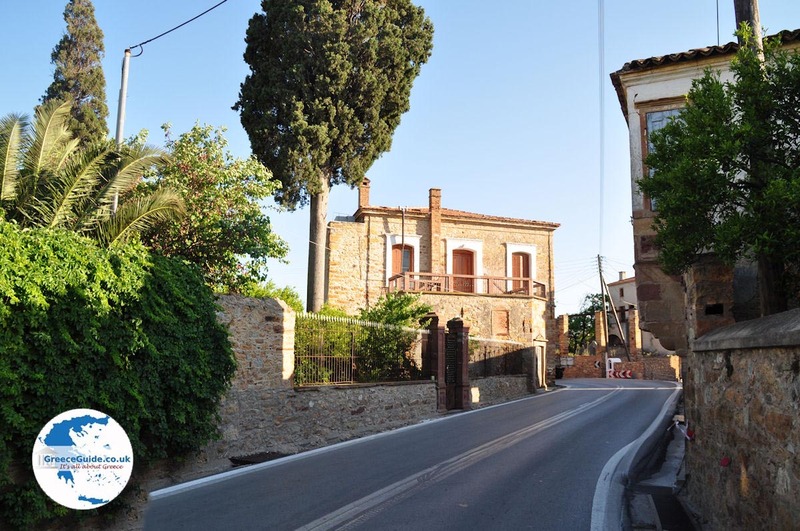 In these areas are some very nice villages you definitely should visit (Mesta and Pyrgi). 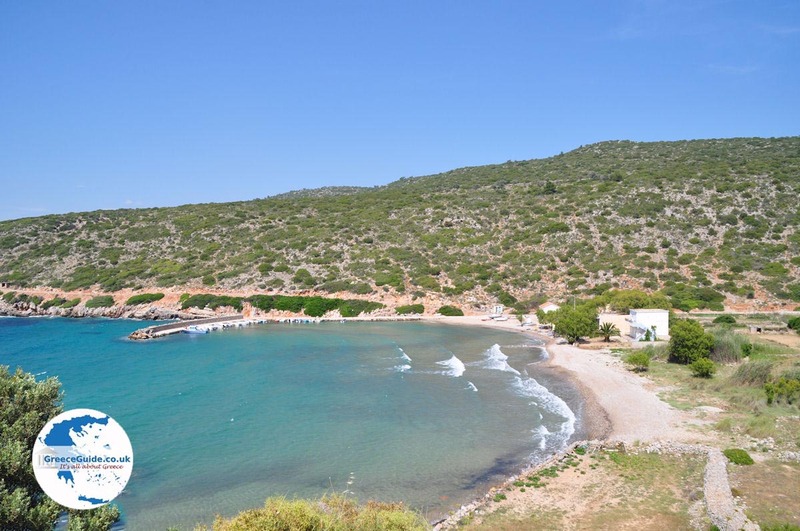 Chios also has many beautiful beaches and resorts. 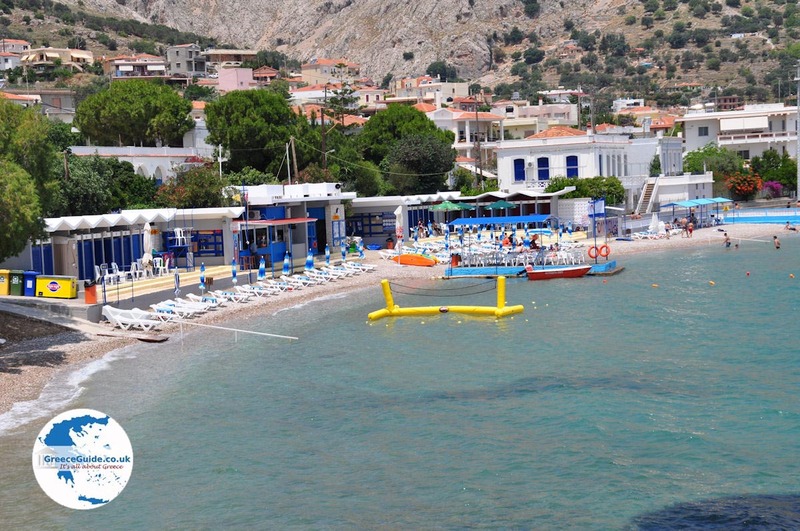 The most famous seaside resort is Karfas which has become very popular due to its fantastic sandy beach and terraces. 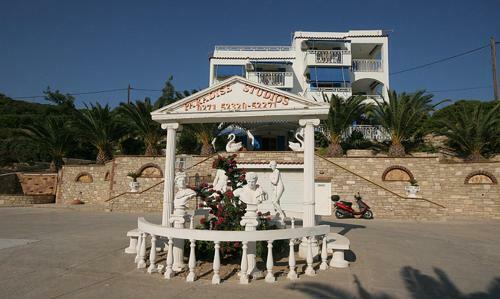 Other resorts are Vrondados, Daskalopetra, Megas Limnionas, Emborios and Agia Fotini. However, on the quiet west coast there are nice beaches, these are not well known, but definitely worth a visit. The Tulips of Chios, called "Lalades". They grow in nature in the months April and May, the fields in the south and centre of the island are filled with these tulips. The citrus fruits of Chios. Especially the Chios tangerine is world famous. Other citrus fruits are oranges and lemons. Citrus fruits grow especially near the Kambos area, in the south of Chios town. This area is also known as the Garden of Chios. The local cheese, known as the "Mastello" and the local yoghurt have an excellent and characteristic flavour. The goats of Chios are plentiful and the natural flora of Chios ensure they give milk a distinctive flavour. In the South: Agia Fotini, Agia Irini, Kato Phana, Apothika, Didima and Vroulidia. Kampochora, the central part of Chios, south of the city. Kambos, with dozens of beautiful villages, it’s the most fertile area and is known for its citrus groves / citrus fruit. 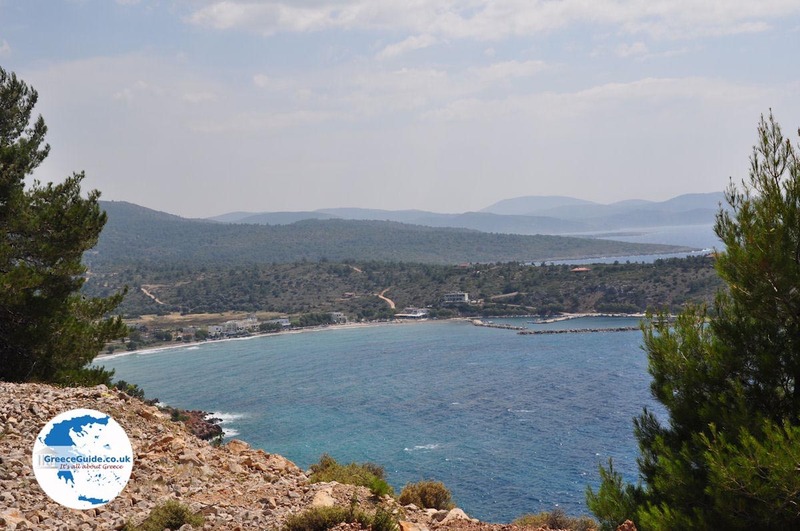 Voriochora, the northern part of the island where high mountains are, stunning nature and amazing views. The traditional mountain villages make the area complete. 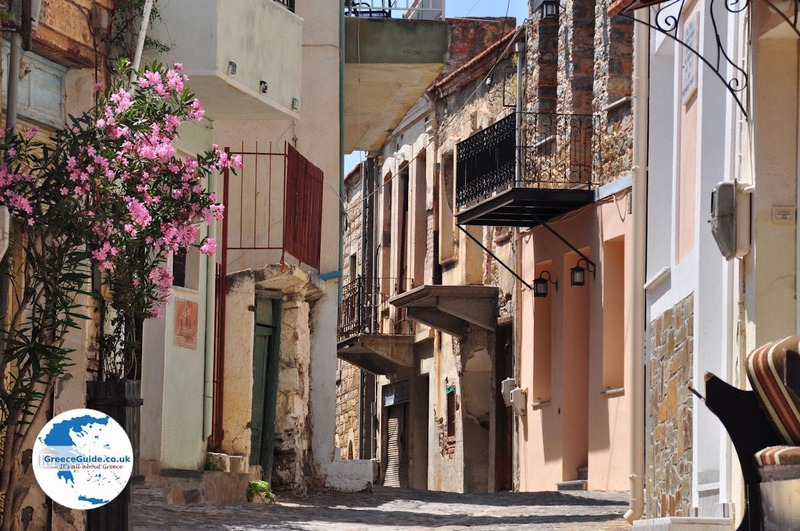 The city of Chios, also called Chora with the traditional houses, neoclassical buildings and merchants' houses. In the old part of Chios the old market and the medieval castle which was built by the Byzantines. The famous windmills of Chios. The southern part of the island of Chios and the Mastichochoria to smell the scent of the mastic trees. The legend says that when Agios Isidoros was brought here for execution by the Romans, his tears changed into Mastic. Chios is the only island in Greece where mastic trees grow. 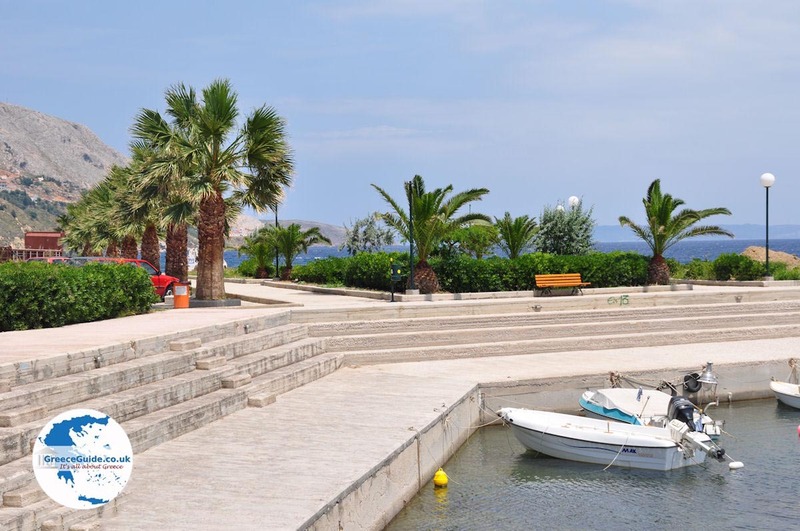 The harbour and seaside resort Katarraktis (literally meaning waterfall). The Korais library of Chios with more than 100,000 books. 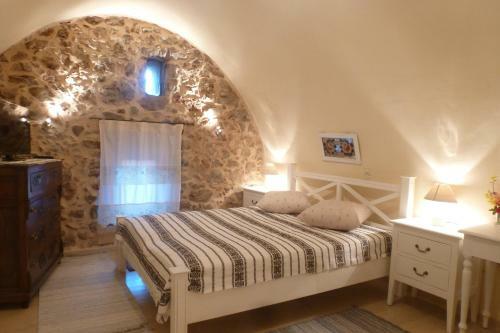 Here you'll find the best of the intellectual life of Chios. 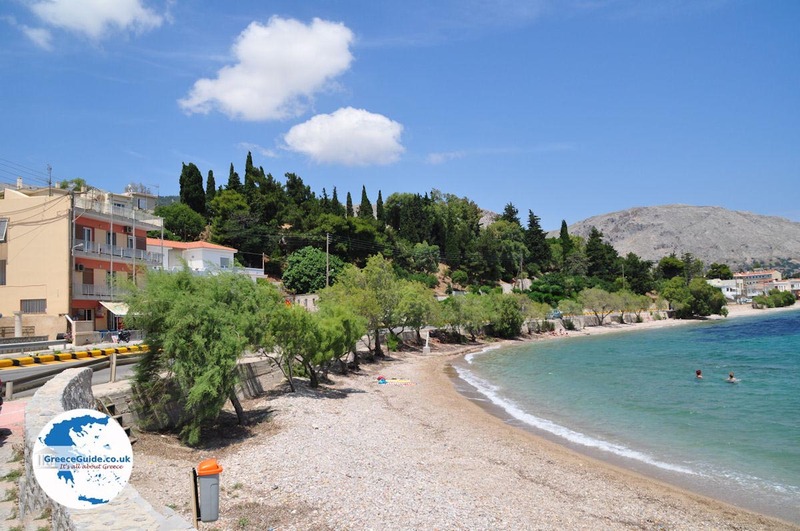 The sandy beach of Karfas and the beaches of Agia Fotini and Agios Emilianos. A nice pebble beach is the (vulcanic) beach of Mavra Volia close to the traditional harbour of Emporiou. The historic monastery of Agios Minas, where three thousand residents of Chios were murdered in 1822. The villages of Pyrgi, Olympoi, Mesta with their own architectural style. Pyrgi is famous for the special decoration of the houses. The Nea Moni monastery, not far from the village Karyes. 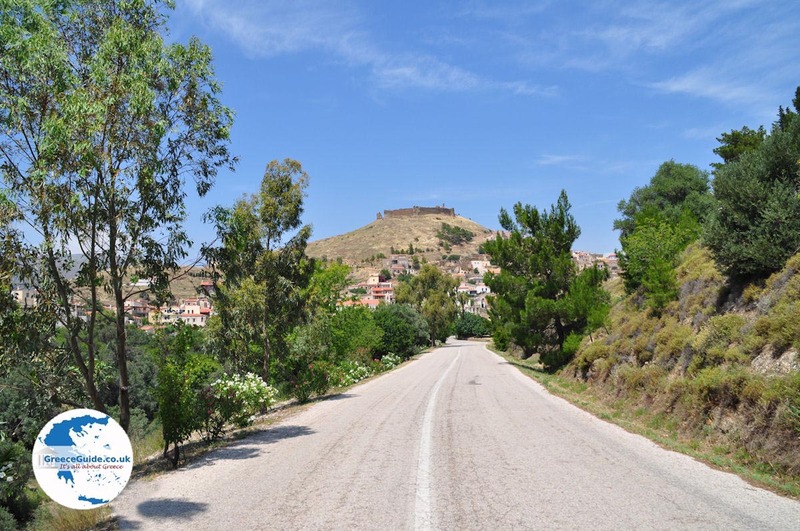 The village Anavatos, also called the Mystras of Chios. Here all the girls of Chios fled to in 1822 to escape from the Turks unfortunately without success. The village Anavatos is today virtually uninhabited. 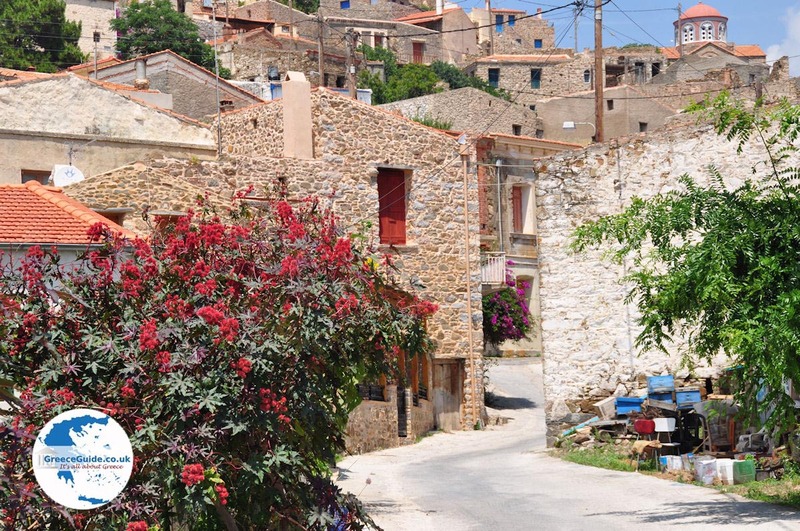 The traditional village Vrondados north of Chios town. At the site Vrisi tou Pasa (crane of the Pasha) you will find Daskalopetra. Here Homer would have taught his disciples. Pano and Kato Kardamyla and the beautiful bay of Nagos. The village Volissos with its Byzantine castle. The monastery of Agia Markela which hosts major festivals in July. The archaeological museum, the Byzantine Museum, the Justinian Museum and many Ethnologic museums and collections including exhibition objects of inestimable value, which testify the long and creative history. Both the Maritime Museum of Chios and that of the neighbouring island of Oinouses are a testament to the long glorious seafaring history of both islands. Moreover, searches on the island of Psara have brought valuable archaeological finds to light. Chios is really worthy of this title! 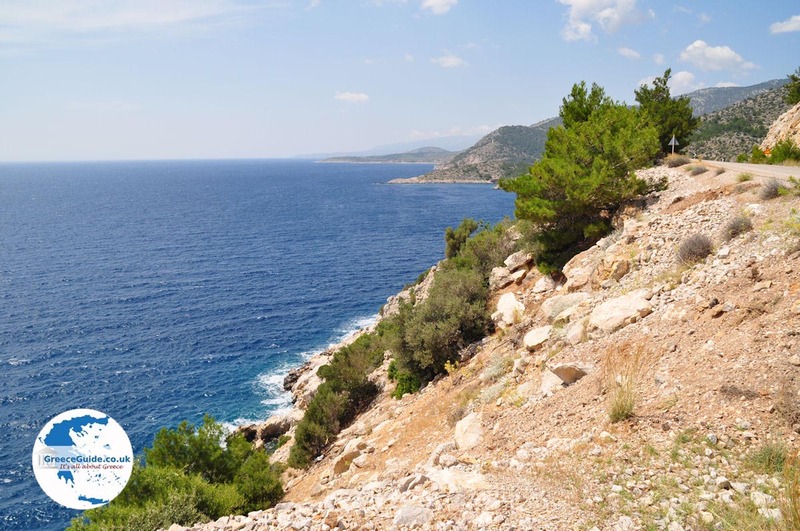 Each resident and every visitor will agree: the mountains and the plains of Chios are unique, there is diversity in vegetation, the bird population, the mountains, the gorges, the wetlands, the interesting caves in the north and the south of Chios. This is the season in which the natural beauty of Chios is at its best: crisp colours, heady aromas and full flavours. Starting in March, the month with the wild tulips and rare wild flowers, until May. May is the month of flowers par excellence. It is up to the visitor to explore the nature to enjoy it. A delicious summer sun, clean sea and beautiful beaches you can find from the island's northernmost point to the southernmost cape. There are crowded organised beaches in the east of the island and almost virgin coast beaches with crystal clear sea in the west. Chios has white-sand and pebble beaches but also unique black pebbled beaches. The unique black beach of Emporio is worth a mention. 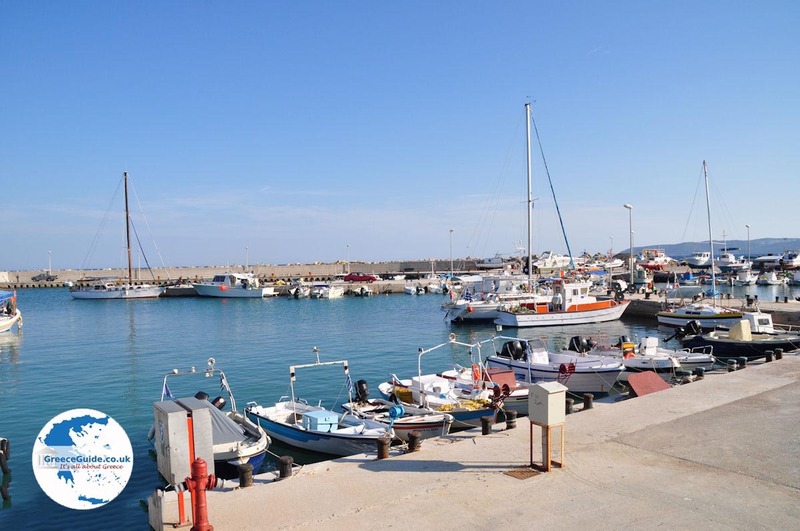 In autumn, the extension of the summer, a different picture of Chios emerges: the seawater retains its preliminary pleasant temperatures and the sun keeps shining . 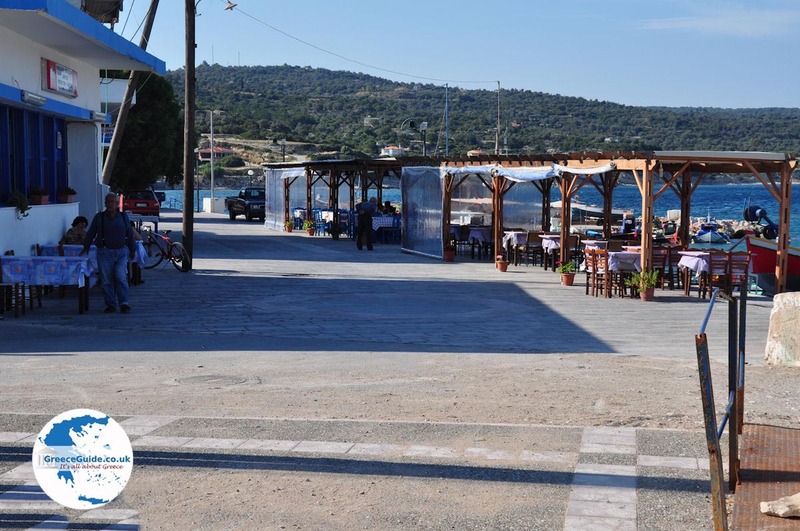 The tables outside on the dock are waiting for visitors, for a coffee in the afternoon or a drink at night. The Chios climate remains soft and pleasant. Very coveted for its winter fruit: the tangerines of Chios renowned for their exceptional flavour, the (bitter orange apple) Cedar cones (citrus species) etc. Religious mood and emotion in the numerous churches, Byzantine monasteries and chapels, Easter on Chios is great. The highlight is the night of the Resurrection itself (the "Anastasi") and the typical "rouketopolemos" or "fireworks bang-war" in Vrontados, which provides a true spectacle. 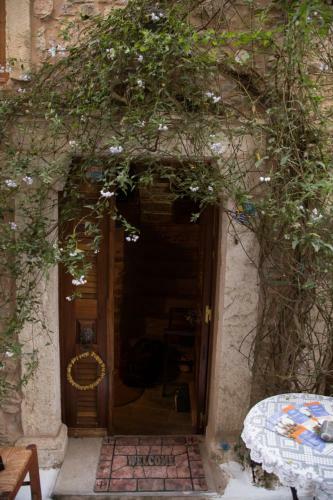 Easter time is undoubtedly one of the best times to spend holidays on Chios and the period in which one can experience the authentic Chios-hospitality at its best. Byzantine churches and monasteries scattered around the island, contributing to the creation religious atmosphere at Christmas time. In Chios town and in the villages there is a pleasant bustle: Christmas carols accompanied by traditional musical instruments (the "tramboukes) can be heard in several neighbourhoods, there are characteristic boats which serve as Christmas decorations. The shops of Chios, which are known for their quality, are contributing to a moody and joyous atmosphere. 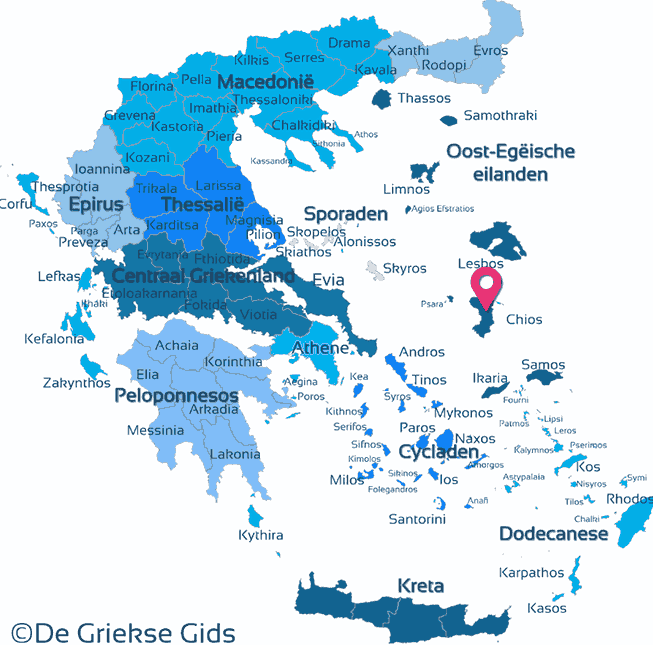 Chios: Where on the map is Chios located?